Blackberry 7130c Offered on Cingular Web Site | BlackBerry Blast! 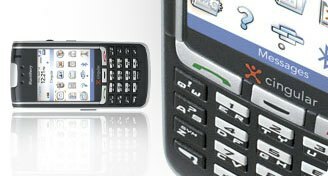 Cingular is now offering the Blackberry 7130c on its web site. There's a $50 mail-in rebate so final cost will be $199 assuming you sign up for a two-year agreement. Included accessories are a lithium ion battery, hands-free headset, holster, AC adapter, and a USB cable.